President Petro Poroshenko welcomes the investor. The British-Dutch Unilever company has opened a factory in Hostomel, Kyiv Region to produce the Lipton, Brooke Bond and Besida teabags out of tea leaves brought from Kenya, Sri Lanka and India. The factory, which boasts no-waste production, can process up to 2,000 t of tea a year with potential increase in output, the company's representative said at the opening ceremony. Its equipment can make eight teabags per second or around 200m teabags a year. The factory has created around 100 jobs. 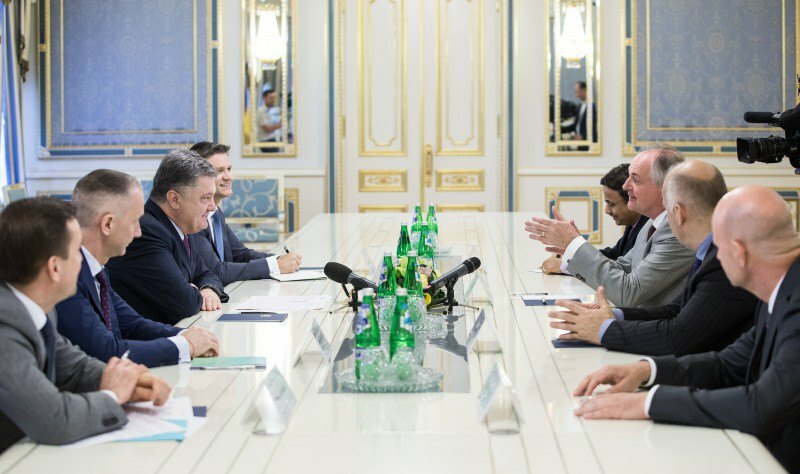 Ukrainian President Petro Poroshenko at a meeting with Unilever CEO Paul Polman described the opening of the factory as a proof of successful reforms, particularly in the fight against corruption, deregulation and creation of an attractive investment climate. "The arrival of the British-Dutch investor in Ukraine is a good sign," the president emphasized noting that it was the biggest investment project of the company since entering the Ukrainian market. Polman said: "It is very timely right now to invest in Ukraine as potentially very attractive and promising market that shows economic growth". He expects Unilever's arrival in Ukraine to become a good example of successful business for other global companies and a "signal of trust in the Ukrainian reforms".